This video fits so much to my mood that i have to show it again (already did a while ago). Hope you are all up to some happy painting! Thanks to those who kept me alive during my own muse depression! 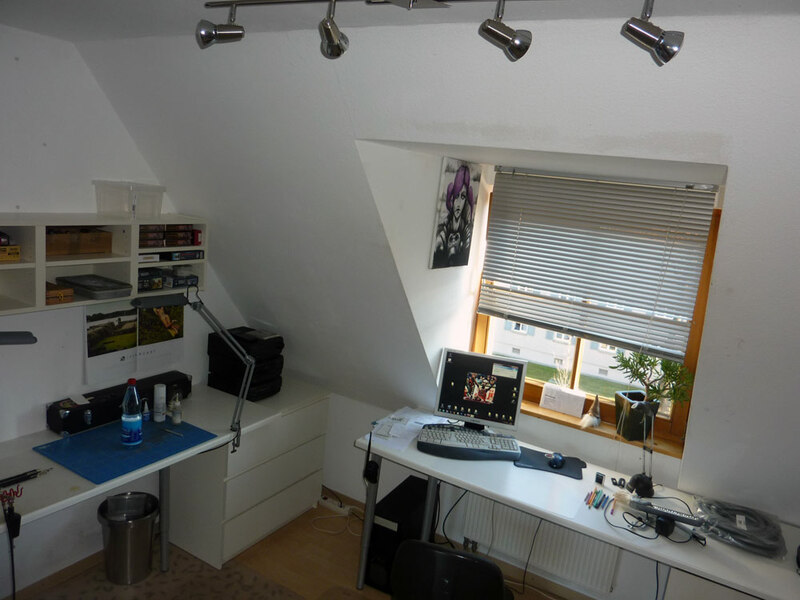 Looks way too clean and organised right now, looks like it is time for me to visit you and leave my trail of chaos, destruction and disorder at your place romi. ;) Good to see you are feeling good in your new work place ! Your space is amazing. I get the strong feeling I need to have a clearout. I have stacks of miniatures everywhere and almost nothing ready for the cabinet. Ach, I know I've got a desk under it all somewhere.